How Negative Of An Impact Will Filing For Bankruptcy Have On My Credit Score? Not as bad as you think. But the more important question to focus on would be how long it will take to rebuild your credit. The answer to this may surprise you as well. To begin with, the filing of a bankruptcy will appear on your credit report for ten (10) years. But this does not at all mean that it will take that long to rebuild. Nor does it mean that it mean that you will have to wait ten years before you can make a major purchase (like on a house of car). In fact, you can expect to see your credit score jump upwards by about thirty (30) points once the debts in your bankruptcy are officially discharged. After this discharge occurs, you are well on your way towards the fresh start / clean slate that the government provides. In other words, you will have a great many opportunities to move forward after the slate of creditors is wiped clean. For example, when you file a St. Louis Chapter 7 bankruptcy, your unsecured debts (like credit cards, medical bills, payday loans, etc.) are knocked out forever about three to four months after you file. At this point, you may be surprised to learn that the credit industry will be more than willing to extend you lines of credit. Why? Because overnight, you will have become the most attractive candidate in the world. All of your old debt will be gone, and from the credit industry’s point of view, that means that you will be in a perfect position to pay them monthly minimums on new balances. Of course, no one would suggest that you go out and get right back into credit card debt. But many people who want to be more aggressive about rebuilding their score and/or rating will take out one of these cards with a low ceiling, make small purchases, and then make monthly, methodical payments. This will certainly go a long way in raising a credit score over time, while putting you in a good position to make larger purchases (like the financing of a car) in the future. Most people are scared of the idea that filing for a Missouri or Illinois bankruptcy will completely ruin them forever. That by doing so, they will never again be able to reestablish themselves as credit worthy. But the exact opposite is true. If for instance you were to file a St. Louis Chapter 13 bankruptcy, you will be put into a repayment plan over the course of three to five years to pay back certain creditors. This means that you will be making between thirty-six to sixty monthly payments to the Trustee, who will then distribute these funds to the various creditors in your plan. By the end of this period of time, you can expect your credit score to be very high. 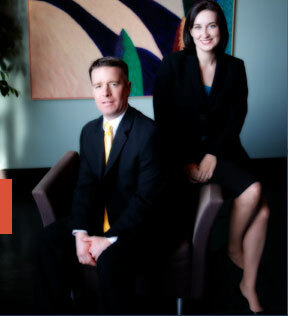 The affordable St. Louis bankruptcy attorneys at Brinkman & Alter, LLC have been providing quality bankruptcy legal services for years. Our goal is to make sure that you understand what your options are, answer every question you have, and guide you through the entire process from start to finish.